Cats Protection runs a scheme where you can sponsor a cat cabin at a small cost. As a branch we have six pens based in the Bridge of Don area that are used to provide temporary shelter for cats that come into our care. The cats are cared for by a group of volunteers who give up their time to ensure the cats are fed, groomed, cleaned, receive veterinary care (whether routine or for injuries and illness) and importantly, given lots of cuddles and attention. With the help of sponsorship we will be able to continue to provide for these cats. Your donation will go towards the daily cost of running the pens, including food, vet bills and providing the cats with treats, toys and scratching posts to keep them amused during their stay with us. 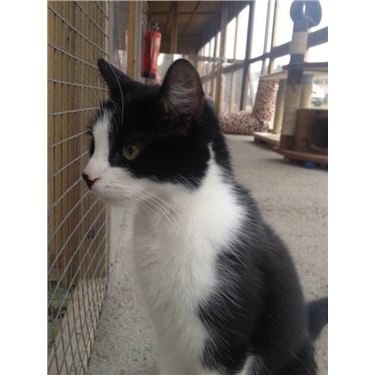 In return for your donation we will provide you with a sponsorship pack, a photo of the cat currently in the pen you choose to sponsor, a certificate and details of all the current residents in our pens. You will receive an update on life at the pens every second month until your sponsorship ends. There are different levels of sponsorship to suit those who choose to sponsor one of our pens ranging from £2 to £10 for differing lengths of time; starting from as little as £2 for 4 months.